Each January, presumably on one of the coldest nights of the year, thousands of volunteers gather to canvass the streets in every borough of New York City as part of the Homeless Outreach Population Estimate, or HOPE Count. Conducted annually since 2005, this critical “point-in-time” census organized by the NYC Department of Homeless Services (DHS) helps to estimate the number of people sleeping unsheltered, in public places such as streets, parks and subways. HOPE is required by the U.S. Department of Housing and Urban Development (HUD), and helps to most effectively identify project service needs and allocate resources. Last year, DHS reported that 3,675 unsheltered individuals were counted on January 22, 2018, the night of the 2018 HOPE Count, which is a 6% decrease from 2017. 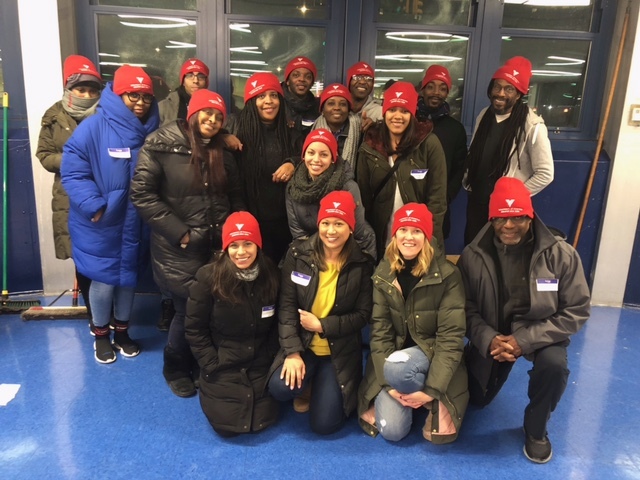 Committed to addressing the needs of the community, Volunteers of America-Greater New York (VOA-GNY) operates several transitional shelters that house men and women who are in need of immediate shelter. Once sheltered, our staff connects individuals and families with services that will help promote housing stability. VOA-GNY also dispatches outreach teams at JFK and LaGuardia Airports who engage with people who appear to be homeless. And through our Supportive Services for Veteran Families (SSVF) program, VOA-GNY outreach teams work with homeless and at-risk veterans across New York City. VOA-GNY has taken part in the HOPE Count for years, surveying neighborhoods from Washington Heights to Beaver Street and Bedford Park to Flatbush, asking individuals if they have a place to sleep that night, and offering access to shelter if not. And this year was no exception! Approximately 30 staff from around the organization stepped up to take part in the initiative.